Florida Assisted Living Facility Punished After Wrongful Death & Other Atrocities—But Is It Enough? In mid-January, a South Florida assisted living facility (New Era Community Health Center) was charged with improper care that led to wrongful death as well as serious injury and attempted suicide involving several of the facility’s residents. According to the Agency for Health Care Administration, these tragedies were the result of staff at the facility failing to provide adequate care to a number of residents between 2017 and 2018; tragedies that included residents dying after going into seizures and falling into unsurvivable comas; falls that resulted in forehead contusions, fractured humerus, necks, noses, skulls, ribs, and hematomas prior to death; and a number of residents who ran away from the facility and suffered significant harm as a result. After suffering from a number of addiction and mental health issues, one resident even attempted suicide by jumping off a balcony and obtaining a number of injuries as a result, reportedly after she had obtained drugs off the streets. Residents who were found did not even have identification bracelets to ensure basic safety precautions. Maintaining written records of illnesses, medication administration, etc. The facility must notify a licensed physician when a resident exhibits specific physiological conditions, such as cognitive impairment, dementia, etc. Did This Go Far Enough? According to the statistics, one out of 11 assisted living facilities in Florida have been cited for not meeting basic rules and regulations designed to prevent residents from wandering. In this case, a number of resident advocates are concerned that the penalties enforced against the facility ($16,500 in fines) do not do justice to the serious violations that occurred here, and that these penalties do not do enough to deter the facility and others in Florida from committing this same negligence in the future. 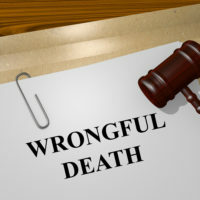 If you have lost a loved one due to blatant negligence like this in a Florida assisted living facility, contact our Orlando wrongful death attorneys at the Baez Law Firm today to find out how we can help you fight for justice. Nothing can make you and your family whole again, however, Florida law allows you to obtain some justice for your tragedy.